Thermal bow is a temporary condition that may occur in certain applications of metal door openings. The cause of thermal bow is differing temperatures on either side of an opening. When steel doors experience a temperature difference between the door faces, the top and bottom of the lock edge of the door begin to distort either toward or away from the frame stop. The larger the temperature gradient, the more extreme the bowing. The effects of the bowing can cause the door opening to function poorly, or even not at all. As the door distorts, door clearances will decrease. Misalignment between the door and the lock jamb may cause difficulty for the hardware to latch and unlatch. Extreme cases could even cause the lock to bind. Thermal bow is an industry wide situation that is referenced in the ANSI/SDI A250.8 Specifications for Standard Steel Doors and Frames as a general consideration. 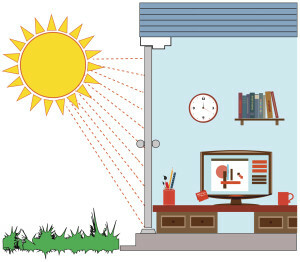 As a result of sun exposure, doors that face east are more susceptible to thermal bow in the morning and western facing doors in the afternoon. The doors will straighten out when the direction of the sun moves beyond the opening. So how can you protect an opening from thermal bow? 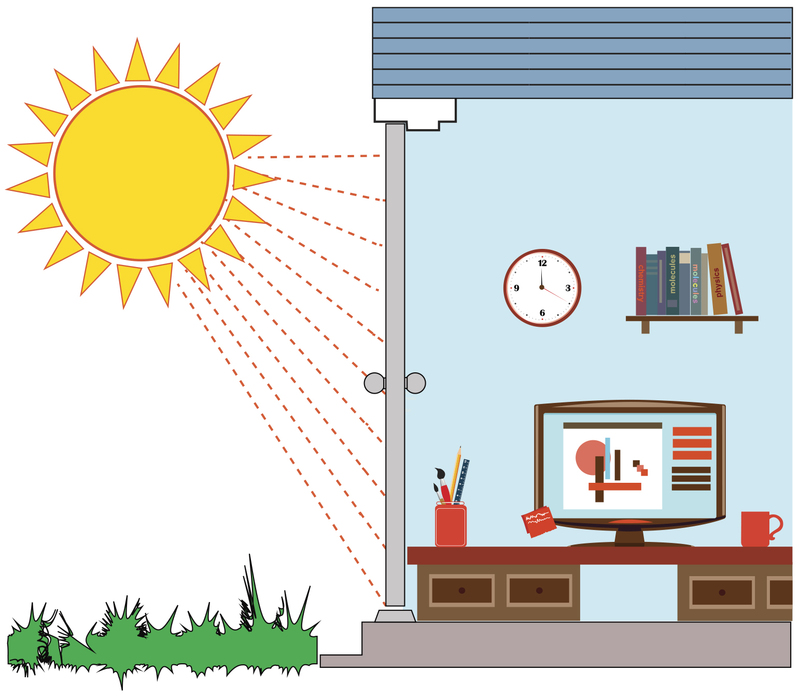 Since thermal bow is usually triggered by direct sun rays during extremely hot temperatures, you should start by painting the doors a light color. Dark colors such as black or brown increase the absorption of heat on the door face. Installing awnings over doorways is another way to block the sun and keep the temperature a little cooler. Additionally, installing flexible gaskets, such as a kerf weather-stripping, will allow the frame to absorb the door movement better. If you have further questions or other ideas how you’ve dealt with thermal bow, please share in the comments section below.